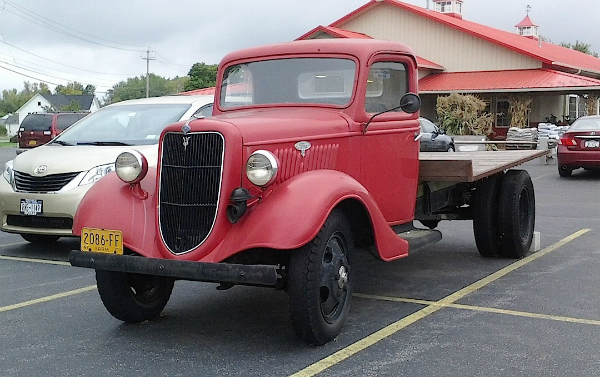 This 1935 Ford Model 51 truck can be seen regularly in the parking lot of Goodman’s Farm Market in Niagara Falls. It’s wearing a Farm license plate, which means (among other things) that it can be used to transport farm goods from the farm to points of sale, or for transportation of laborers. This one I’m assuming gets used occasionally for something, because it’s not always parked in the same spot. Jim Corbran, RRofWNY …and check out our Facebook page: Un-American Classic Cars The post RealRides Of WNY appeared first on Buffalo Cars.